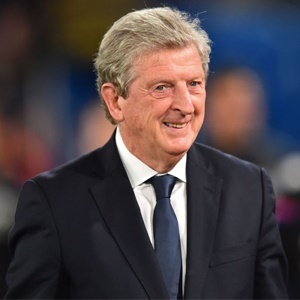 London - Roy Hodgson says it will take time for Crystal Palace to get back on track despite securing a much-needed win in the League Cup to end a dismal run of form. The south London club, rooted to the bottom of the Premier League with five defeats out of five -- and no goals scored -- beat Huddersfield 1-0 in the third round on Tuesday. In the 70-year-old's second game as manager, they earned their first victory over Premier League opposition since May and were further rewarded by Mamadou Sakho's impressive return. Sakho's return to fitness contributed to Palace's first clean sheet of the season as well as their increased confidence, and came against a team who had defeated them 3-0 on the opening weekend. But Hodgson, who replaced the sacked Frank de Boer, urged caution despite the third-round win. "The players will understand, like the fans do, that you don't repair the kind of damage we've suffered overnight," he said. "It's going to be a longish and hard process. But I know there's light at the end of the tunnel and I started to see some shards of that. "The week's work has really pleased me. I'm pleased with the win, pleased with the first-half performance after only a week's work. "The second half I was pleased when the going got tougher. We had to dig in, fight, chase and we did that too. It was a very positive evening. We left a lot of players out who have been playing. "(Sakho) was excellent. He hasn't been able to train as much as he'd like. We were worried about his level of fitness and surprised he lasted as long as he did." A further positive came with Pape Souare's first appearance in 12 months, following a career-threatening car crash in which he suffered a broken jaw and thigh bone.